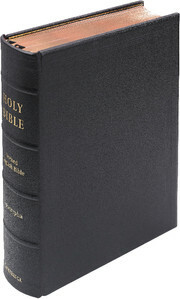 This Cambridge NRSV Lectern Bible includes the Apocrypha and uses the NRSV Anglicized Edition, the Bible translation recommended for use in the Church of England and other churches. 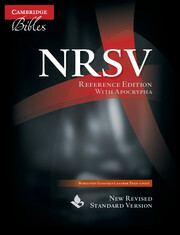 It is an enlargement of the NRSV Popular Text Edition, so the two are natural partners for use in church. The text is broken up with bold section headings, making it easy for the reader to find the place quickly. 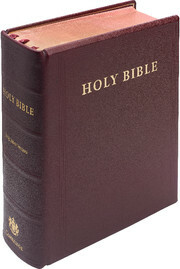 Running heads show chapter and verse for easy navigation. 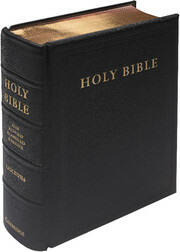 Cambridge's Lectern Bibles are produced in a traditional style, from the best materials. 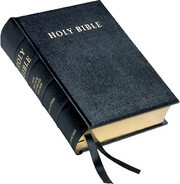 Their large, clear print and tinted paper makes them easy to read, while their reinforced binding and hard covers protect them against wear and tear. 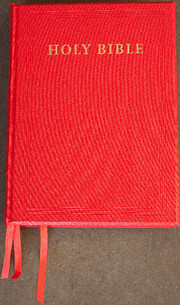 This Bible is bound in goatskin, noted for its combination of attractiveness and durability. 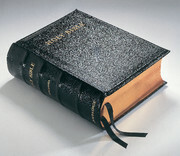 Three ribbons keep the place in different parts of the Bible, and there is a presentation page at the front. The pages have art-gilt edges, and the outer covers are traditionally decorated in gold foil. It would make an exceptional gift for a church.